Fort Myers’s hidden treasures include Chef Roger Lousa’s Amazon Grill, the Brazilian steakhouse restaurant, in the same Avenue Shops Plaza along with India Palace and a Middle Eastern market, just South of Oak Street, and 1.7 miles North of Daniels, on 41. The décor is simple, the food is tasty and filling, with a bargain of a self service buffet! Pile up your plate with the rich smoky taste of slow grilled beef ribs, and pork loin- It’s BBQ Churrasco style. The meats are cured with coarse rock salt before grilling over an open flame, and the taste is rich-as if vibrant, hard-to-identify exotic spices were added, to both amaze and befuddle the palate, yet no spices are added at all. The complex flavor is derived from rock salt and proper grilling alone. The taste is lush and earthy, quite different from our BBQ style. I happened to prefer the Sirloin and tender ribs over the pork loin and chicken, still, all 4 items were grilled to perfection. I’ve yet to try the weekend or dinner offerings. 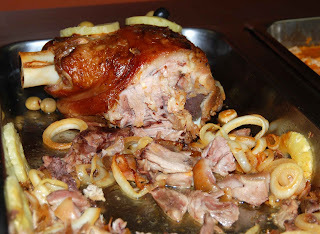 To accompany the Churrasco, at the buffet line are approximately twenty side dishes, including a salad bar, rice, beans, chicken with onions sauce, spaghetti, lasagna, yucca, fried bananas, baked potato and, vegetables.On Saturday, feijoada is added, and on Sunday, paella and also salmon are added. 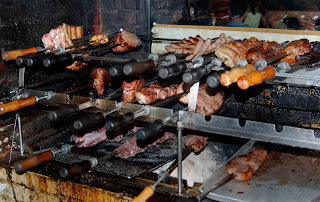 Weekends also add Brisket, beef tongue and sausage to the Churrasco BBQ. The Price for the buffet? $8.95 for lunch, and $9.95 for dinner (which adds Picanha and sausage! No take home boxes allowed, to be fair. The line starts here! Check the kitchen and the bathrooms, first. This Luciano is just someone who doesn't know nothing about food and probabily with is poor spirit , will never become a sucessfull person. When you do not like some place you do not go twice. If he can show his identity (name with last name) perhaps someone can believe him. Great smoked meats sliced to your order, well prepared side dishes and a friendly staff! We loved it. This place has declined in quality over time. 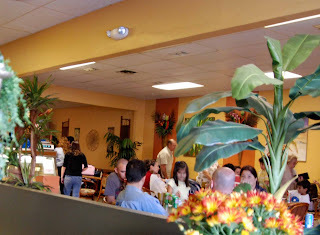 The buffet has a good selection of food; however, the black beans taste like they have been re-heated several times so it lacks freshness and good taste. The churrasco or bbq has a good variety of meats; however, they claim to serve picanha which is a Brazilian cut of meat (top sirloin). Don't be fooled, they rarely serve the real deal. Also, the "Brazilian sausage" has a horrible taste and is not authentic. On top of all that the place is dirty. The restrooms are in need of renovation and a good scrub. The ceiling tiles need to be replaced throughout the whole restaurant. As well as a good clean to clear the cobb webbs and dust. The price is too high for the overall quality. Look around the area for something better!